Last week while I was talking about the importance of passing our rich colorful Appalachian Language on to the next generation the state of Tennessee was doing the same thing. “JOHNSON CITY, Tenn. (WJHL) – If anyone has ever told you – you talk funny – you might be from Appalachia. Some Tennessee lawmakers hope a bill they’re considering will help shatter stereotypes about the Appalachian dialect. Senate Bill 227 passed committee on Tuesday. It urges the Secretary of State to include a discussion of the significance and history of the Appalachian dialect in the Tennessee Blue Book. The Blue Book serves as a manual on the state and its government. State Representative Jeremy Faison of Cocke County tells us that the bill is about honoring a beautiful form of the English language. “The Appalachian dialect has some of the oldest forms of American English that you can find,“ Faison said. 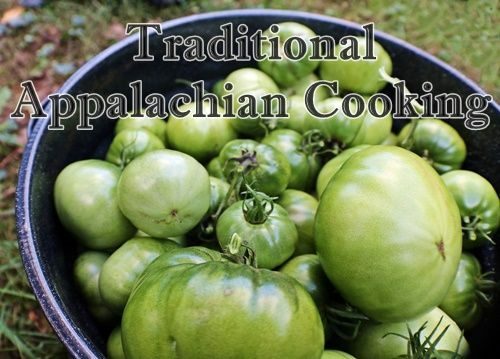 Senate Bill 227 – written alongside Senator Steve Southerland of Morristown – states that the Appalachian Dialect is fully legitimate and deserves respect. “There are people who hear the Appalachian dialect and immediately think “This person might be ignorant“ but in fact, some of the smartest people in the world are from the Appalachians,“ Faison said. Places – Why Are They Called What They Are? Thanks for including the Tennessee news. I am from there, and I still talk with my Tennessee Appalachian twang, and still explain my talk to my husband of 43 years. By the way, one of the Appalachian dictionaries you quote was published by the University of Tennessee in Knoxville. I just live for your blog each day. Thank you. Never mind I just corrected it. Tipper, i am glad to hear this. I don’t understand why to some people our vocabulary seems funny, hick, hillbilly or whatever to them. We talk the way we do because we live in good old Tennessee. Just as people talk in what ever state they live in. I am very proud to be and raised in my state Tennessee. I wouldn’t want to live no where else. I know and have learned and lived because of it. God Bless our State!! Shirl. I wish Ky. would do that too, so much of our language is lost on the young. I was in a store in Ashland Ky. just the other day and the clerk asked me how I was doing. I told him just barely, in sincerity he said I’m glad to hear it. Upper east Tennessee is a good place to recognize the Appalachian dialect. It was part of the first frontier at the time of the Revolution and a primary route west, down the valleys of the tributaries of the Tennessee River. 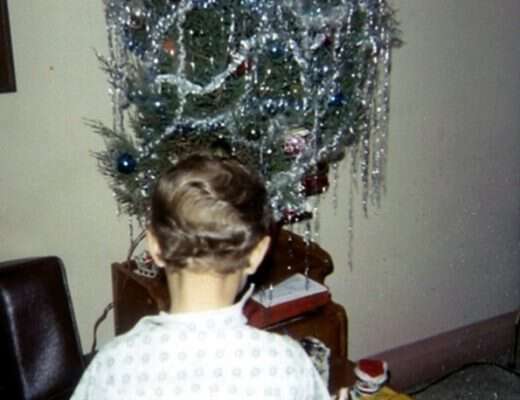 Mine and my wife’s folks came that way, some from Virginia, one maybe from Pennsylvania and one from North Carolina. Unfortunately the new trend toward political correctness still permits poking fun at those from Appalachia. 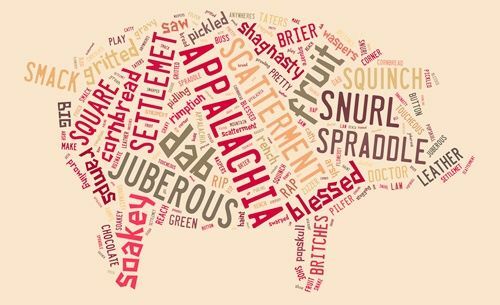 The Appalachian dialect should be a national treasure, as it would truly be a sad day if it is ever lost. I am so appreciative of efforts to keep it alive, and I would wish my own lovely state would make such an effort. One source of pride is Tamarack which is jam packed with arts and crafts from the state’s most gifted. I have never had a talent so great that I would be able to submit, but fall into that category, “jack of all trades, master of none.” This was learned from my dad who always told us to “learn everything you can because you never know when you will need it.” Yay for Tennessee, and I sure hope some surrounding states follow suit. During my fifty years of working with the public I’ve been told that I talk funny, most of the time it is by someone from a different geographical area.I respond that they that talk funny since I talk like the majority of everyone else who live “Round Here”. Tennessee is my home state, even though I’ve lived in WNC since 1996 (and Brasstown since 2000). I love reading about the dialects. Even though accents are similar, my husband says he can still distinguish that slight Tennessee twang I have. In my novel Darby I write about a duel in Johnson City, Tennessee, because it was illegal in North Carolina. Lots of Appalachian dialect is included.